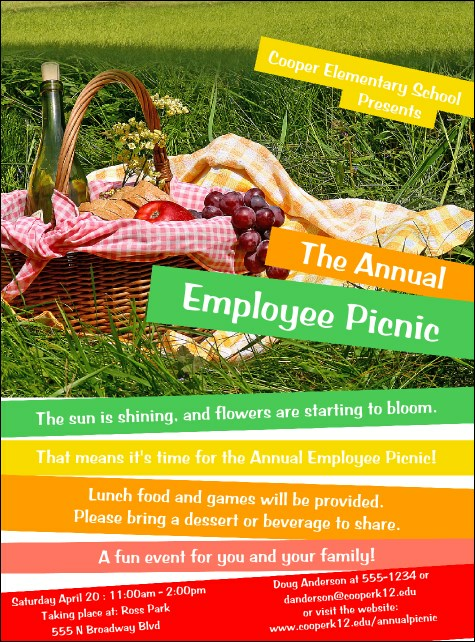 Celebrate this simple joy of spending time with friends and family in the sun when you post the Picnic Flyer before your annual picnic. This radiant flyer template features a detailed image of a lovely basket filled with wine, fruit, and bread on a green field of grass. Sixteen lines of information are embedded on colorful banners throughout the flyer.